Benchmark indices ended over half a per cent higher driven by gains in RIL, ICICI Bank, HDFC, ITC and Bajaj Finance. The S&P BSE Sensex ended at 36,636, up 194 points while the broader Nifty50 index settled at 11,053, up 66 points. Among sectoral indices, the Nifty Metal index ended 0.7 per cent higher with MOIL and National Aluminium Company being the top gainers. The Nifty Pharma index, too, settled 1.1 per cent higher led by gains in Piramal Enterprises and Divi's Laboratories. 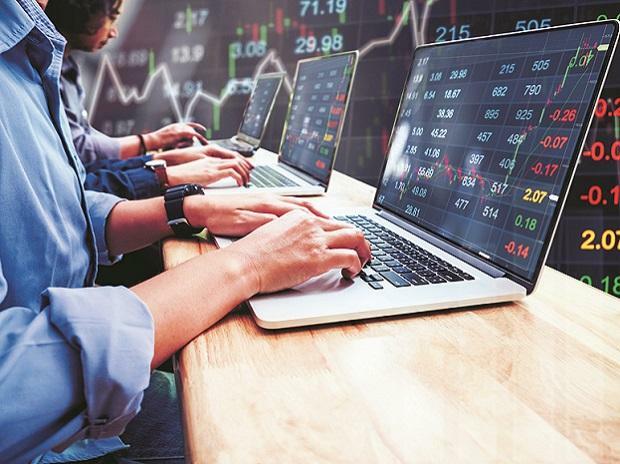 In the broader market, the S&P BSE MidCap index ended 72 points, or 0.49 per cent at 14,866, while the S&P BSE SmallCap index settled at 14,557, up 140 points, or 0.97 per cent. Shares of Dewan Housing Finance Corporation (DHFL) surged 20 per cent to Rs 161 apiece on the BSE in the intra-day trade after the company informed the stock exchanges that an independent chartered accountant firm report said that the housing finance company has not promoted any of the 26 shell companies, which were alleged to have siphoned off about Rs 31,000 crore of the company by investigative news portal Cobrapost. The stock ended at Rs 148.80, up 11.04 per cent. Shares of Edelweiss Financial Services surged 12 per cent to Rs 173 apiece on the BSE in the intra-day trade, extending its previous day’s 10 per cent gain after the company said Canadian fund plans to invest about Rs 1,800 crore in ECL Finance. The stock closed 6.66 per cent higher at Rs 164.05. Asian stocks were trading mixed in the early trade on Wednesday, as investors awaited fresh directional cues from US-China trade negotiations and a weaker Wall Street finish capped broader gains, while robust US economic data supported the dollar. MSCI’s broadest index of Asia-Pacific shares outside Japan was barely changed while Japan’s Nikkei declined 0.5 per cent.